« What is so special about the robot arms of Universal Robots? 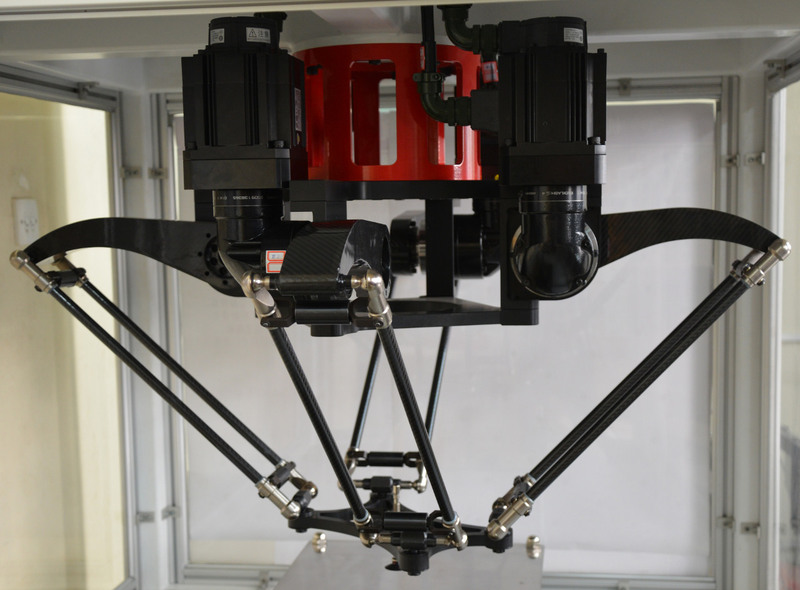 While, so far, all Chinese robot manufacturers build standard six-axis industrial robots and conventional Delta robots, one of the top universities in China has just developped a novel four-armed parallel robot. 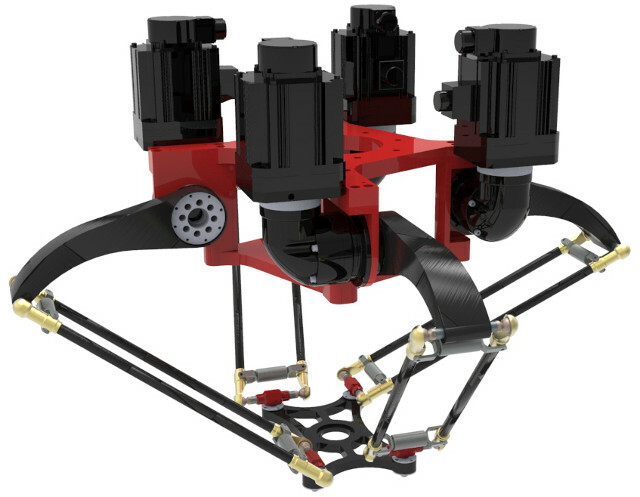 Professor Xin-Jun Liu and his team from Tsinghua University (Beijing) patented and built one of the first pick-and-place parallel robots with four identical legs and unarticulated mobile platform, called the X4. When I visited Professor Liu’s lab in 2010, I was particularly impressed with the number of collaborations he has with industry. He has developped a number of parallel kinematic machines (PKMs), but this is his first endevour in material handling. It is only a matter of time before this robot becomes available in industry, at least in China. Most know that the Delta robot was invented by the Swiss professor Reymond Clavel (now retired), but few probably know that the Quattro was the product of a collaboration between researchers from LIRMM in France and Fatronik in Spain. 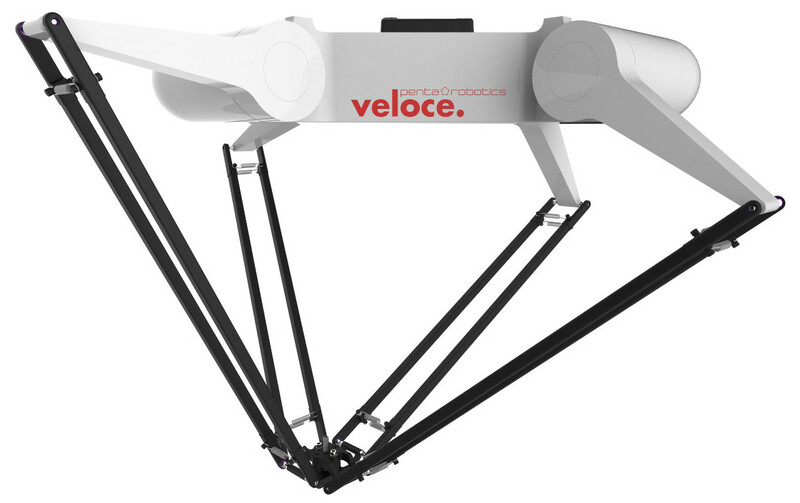 The next four-armed parallel robot to hit the market this summer was developped in the Netherlands by Penta Robotics. Their Veloce has the same arms as the Quattro and the X4, but features modular design and an articulated mobile platform.